Intel IT Business Review: “Whether it’s exploratory or targeted-, Intel IT has a process for identifying, prioritizing, and pursuing the opportunities that hold promise. It all boils down to use cases and business value, continually seeking new answers to an enduring question: how do we make things better, faster, and/or cheaper?” — Ed Goldman, Intel IT CTO and general manager of the Intel IT Strategy, Architecture and Innovation group. Download the IT Business Review app now on your mobile device. Download directly from: Google Play, Amazon or iTunes. 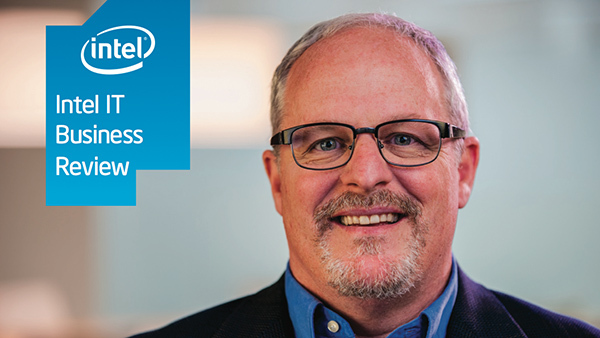 IT@Intel features insights from your peers inside Intel IT and showcases the practical application of IT innovations delivering business value right now. We invite you to engage in the latest thought leadership around industry trends and learn how IT can build business value by using agility, innovation, and proactive investment to overcome today’s toughest business and IT challenges.